In Stock. Free Ship.. Ships Free. They're back! Storz & Bickel, creators of the Volcano Classic and Volcano Digit bag vaporizers, make their triumphant return with this new hand held beauty, the Plenty Vaporizer. This small hand held whip vaporizer looks more like a power tool than anything else, but delivers a vapor that is unmatched. The stainless steel heating coil that wraps around the whip tubing continually cools the vapor on its way through the tubing, delivering an ultra smooth vapor each and every time. The double helix heat exchanger heats up the Plenty Vape super fast and also vaporizes your blend evenly throughout. 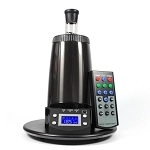 It was only a matter of time until Storz & Bickel came out of hiding and that time is now, so act fast before all of these Plenty Vaporizers are gone! Call us at 201-389-VAPE Mon-Fri 10AM-6PM Eastern and we will be glad to assist you or take your order by phone. 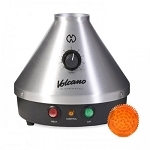 Construction: The Plenty Vaporizer has a polycarbonate build with stainless steel cooling coil. 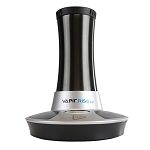 ...this is w/ out question the most powerful,..and effective vaporizer iv ever used,..its all there,..flavor..punch..efficiency..convenience and quality. The liquid pad works flawlessly when kept clean for proper fill levels and the cleanliness of the overall experience make it a very welcome addition to my pack. This vape will take you where others cant touch. And the fact i got mine overnight is amazing...in essence,..if you see this cheaper elsewhere consider what express shipping would run you and you will find that NEXT DAY VAPES is the best route to take. 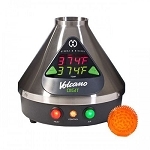 A: The temperature gauge on the front of the Plenty reads up to 420 degrees F, however it is recommended to use the Plenty at a max of bout 400 degrees F. This has a very powerful heating element and usually works best at a lower temperature setting. 27 points worth $27 will be earned when you buy this item.